The most interesting friendly game organised was that against Zebbug Rangers from the first division on the 15th of November 1970, with goalkeeper Robert Gatt and which we lost 0-2. 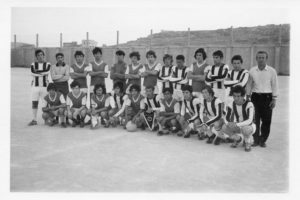 When the league came to end, we also played against Birkirkara Utd, Marsa, St.Michael’s, Gzira Lions and other teams. During this season, Victoria Hotspurs won the Under 16 league.